We accept either E-transfer or Paypal. For more information phone 519-271-3726 or email us at pucksplenty@gmail.com. We're off to Sudden Tract, an amazing forest just outide of Cambridge, for what we hope will be a productive hunt for morels. These highly sought after fungi top the charts for taste which is why they are cherished worldwide. Join us on the trails as we also search for wild watercress, wild ginger, pheasant back mushrooms and more. The Black Velvet is one of the earliest Boletes to appear, continuing to show itself through most of the Summer. 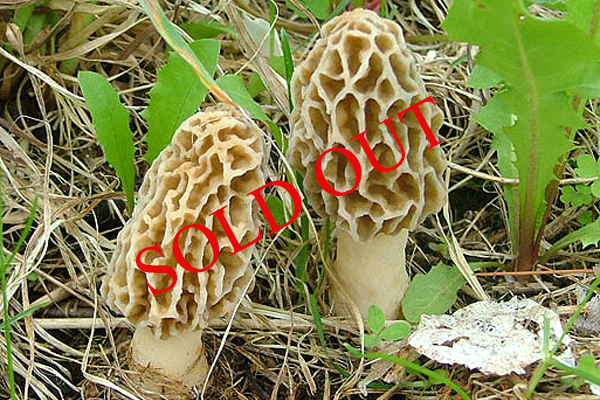 Rated as "choice" by many North American chefs, it can be found primarily under mature oaks. Which is why we have chosen Sudden Tract outside of Cambridge for our trek. Sudden Tract is made up of diverse forests including one huge section of hardwoods. 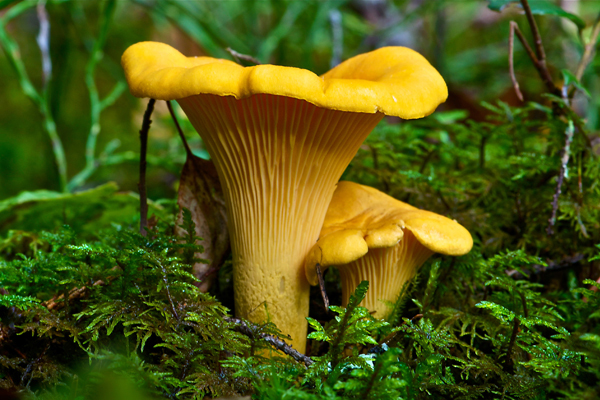 We might add the trails are some of the most beautiful in southwestern Ontario, home to other fungi such as Oysters, Corals, Honey Mushrooms and more. 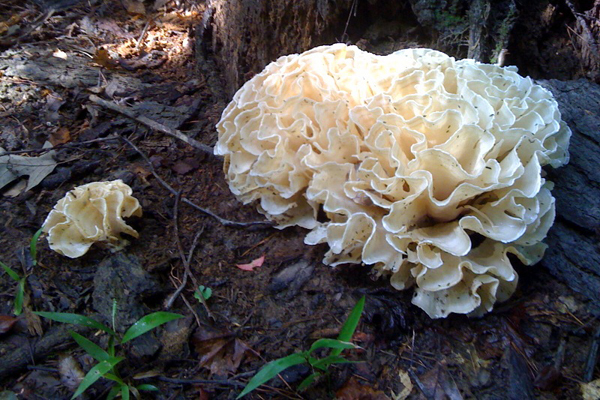 The Eastern Cauliflower Mushroom is among our new finds from last season. Another wonderful delicacy rated as choice by most chefs, it can be found in hardwood forests around standing oak. These mushrooms can be anywhere between 6 to 12 inches and are made up of a multitude of flattened "branches". Their creamy white colour makes them easy to spot. Spore print is white. Once again we will be traveling to Sudden Tract outside of Cambridge. Along with the Cauliflower Mushroom we will be searching for Summer Oysters, a variety of Boletes, as well as Coral Mushrooms. We have to confess, this is our favourite mushroom. It has the perfect texture, the exact sweetness and a limited window of growth that makes the search so exciting. Found mostly under Hemlocks their yellow golden colour makes them fairly easy to spot. But it's their taste. Sauteed in butter and just a bit of garlic with a splash of white wine. We need not say more. For these mushrooms we are venturing once again to Sudden Tract on the skirts of Cambridge, Ontario. Along with the Chanterelles we will search for Honey Mushrooms, an assortment of Boletes, Puffballs and Summer Oysters. The well groomed trails of this forest are home to many delicious fungi. Join us and you will see what we mean. We return to Sudden Tract Forest outside of Cambridge, Ontario to search for one of the more common mushrooms of the Bolete Family. Appearing throughout the Summer and Autumn they are found in mixed wood. 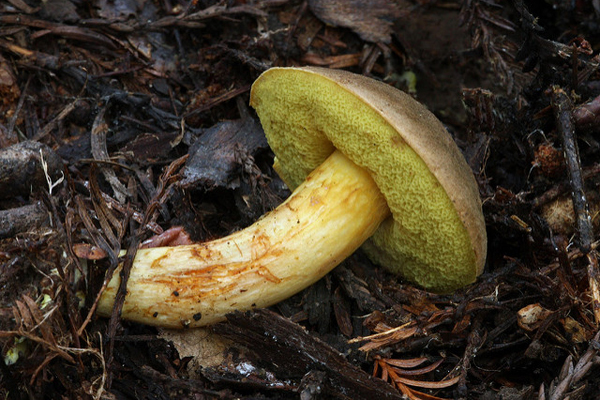 The caps are olive to brownish yellow with thick stems, bruising blue. Along with the Yellow Crack we will search for Slipper Jacks, Oysters, Chanterelles and Honey Mushrooms. We said it before but Sudden Tract is one of the more diverse forests we have come across. Home to a variety of hardwoods such as Maple and Oak as well as Beech. All contributing to a wonderful home for wild mushrooms. 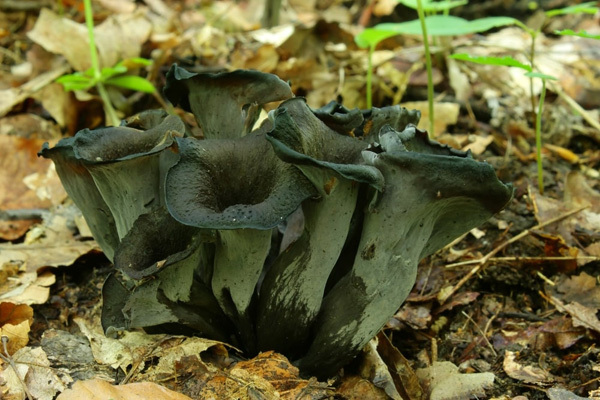 Along with the Chanterelle the Black Trumpet is prized as one of the best of wild mushrooms. Its succelent texture and sweet taste deliver a melt in your mouth culinary experience that you will not forget. Sauteed gently in wine or added to your favourite ragout, these gems will have your dinner guests wanting more. Once again we're back to Sudden Tract Forest where we're hoping the hardwoods deliver this incredible bounty. 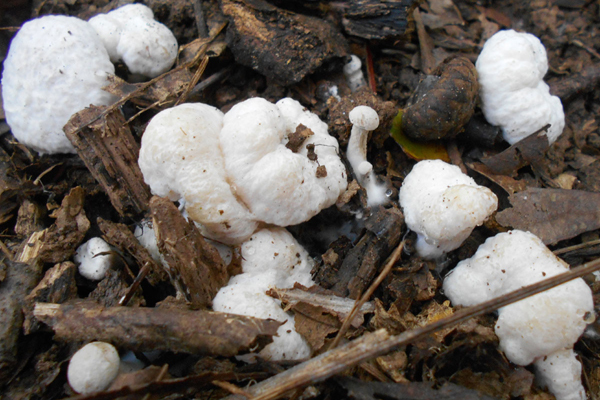 Also known as Aborted Entoloma, the Shrimp of the Woods is easily identified (some say they look like popcorn) and quite numerous throughout the Autumn. They are quite special only because of the transformation that takes place especially when they grown alongside or close to Honey Mushrooms. Their "aborting" if you will, consists of abandoning their typical mushroom shape (cap and stem) into what you see in the photo. Not to worry. Their taste is remarkable and are best sauteed to appreciate their culinary benefits. Here's a reciipe from Forager Chef you might want to try: Blackened Shrimp of the Woods. One of the best hunting grounds for these mushrooms and more is Sudden Tract just outside of Cambridge, Ontario. Join us and find out why. Hen of the Woods, also known as Maitake, is one of the largest wild edible mushrooms outside of the Giant Puffball. They can weigh up to several pounds and are quite easy to identify, looking like a large mass of fused caribou antlers. Highly prized in both the Culinary and Medicinal communities. They can be grilled like a steak or chopped into smaller pieces and added to pasta, soups, stews . . . OR . . . simply sautee them in garlic and butter. 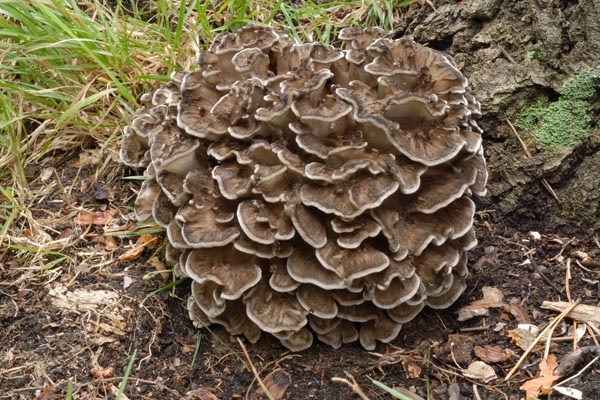 Hen of the Woods also contain chemicals that help fight tumors, stimulate the immune system, and lower blood sugar levels. We're back to Sudden Tract, Cambridge to search for these as well as Honey Mushrooms, Gem Studded Puffballs, Pear Shaped Puffballs and more. © 2019 Puck's Plenty Enterprises All rights reserved.